I want the Yamuna Ghats to be protected. Please restore them to the most natural and original position possible. The cultural heritage is to stake. Imagine no more Keshi Ghat Yamuna view. Instead a highway with four lane traffic. A half moon bridge right on the Yamuna or better said driving Yamuna away from the Ghats. The citizens of Braj are sad. Many will protest on the 25th of December at 12.30 p.m. starting from Keshi Ghat and Imlitala. 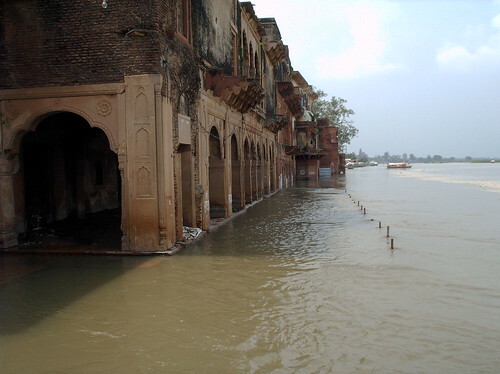 We need your signature as a defender of the Ghats of Vrindavan and specially against this already started Bridge. 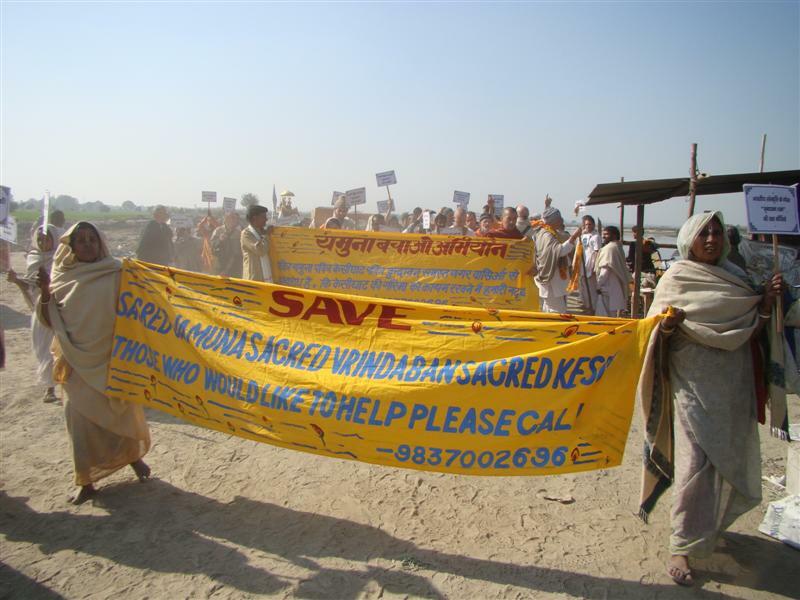 In the service of the citizens of Vrindavan who oppose the bridge and loss of the Yamuna Ghat heritage. The Governor of Uttar Pradesh is building a big bridge around Keshi Gath. 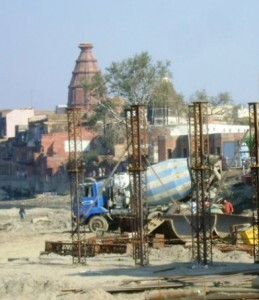 It is against the will of all the local residents in Vrindavan. 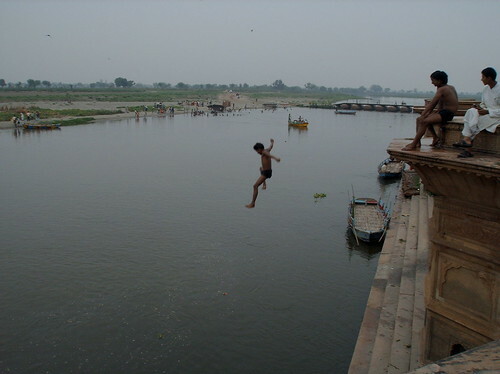 The new bridge threatens Vrindavan’s heritage ghat. The governor of the state of Utthar pradesh is doing this without consulting anyone and not revealing the plans to anyone. This project is an ecological disaster, unethical and anti-aesthetic. The bridge brings a freeway in front of the sanctuary. Hundreds of activists are against this and we will have a civic uprising with the presence of respectful leaders, citizens and schools students. This ceremony is called bridge breaking ceremony. It is about breaking symbolically a part of the bridge. Also the press was invited so the protest can be seen in the national press . More than 500 kids of the Sandipani Muni School of Vrindavan are joining the pacific march with dancing art. We only see economic interests of some politicians behind this bridge. Please join the protest with your signature. At the outset, it is necessary to mention that our campaign is in accordance with our fundamental duty as citizens by virtue of Article 51 A (g) of the Constitution of India, which enjoins “ …every citizen of India to protect and improve the natural environment including forests, lakes, rivers and wild life and to have compassion for living creatures”. Please, foreign and Indian devotees, join the signature campaign to stop the construction of an unnecessary bridge. We humbly submit our state of distress and misery over the gravely deteriorating condition of the sacred Yamuna River. 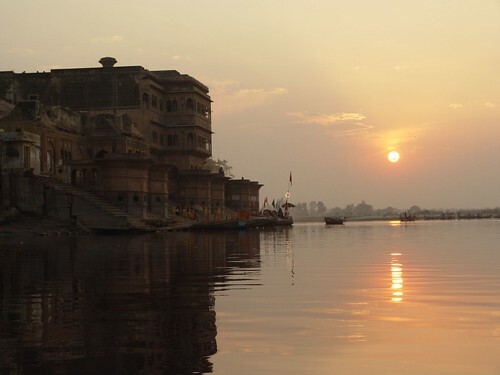 It’s a matter of serious concern that the Yamuna, which is considered an eternal consort of Lord Shri Krishna in Hindu scriptures, and has been an essential source of water for hundreds of millions of people through ages has alas, been declared a dead river by ecological agencies. New Delhi, Feb 23 (ANI): Hundreds of students, environmentalists and residents have joined hands in a campaign to save the River Yamuna from further pollution. Holding placards and banners, they gathered at the Jamia Milia Islamia University’’s Ansari Auditorium and raised slogans in favour of ”Yamuna River-Cleaning”. The River Yamuna that holds not only mythological but also historical significance to the country, is today in a pathetic state and its water is unfit for bathing, leave alone consumption.